Home » Relationship » Justin Siegel Wiki: Divorced With Wife At Age 28, Dating Girlfriend At 37? Some personalities rise to fame flaunting their personal life in the media while some love to keep their private side a low-key affair. 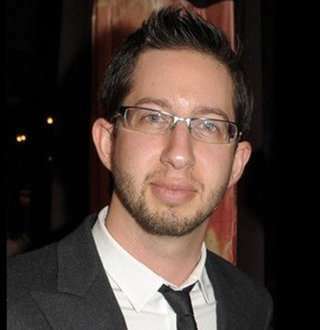 American music executive Justin Siegel is an example among those who are fond of keeping secrets. However, when information about his personal life finally came out, it left his well-wishers shocked and heartbroken. The Florida-native is famous in the musical field for his collaborations with different recording companies. Justin, who co-founded JNJ Mobile, Inc in 2005, is currently serving as its chief executive officer. Here are some interesting wikis about Justin Siegel ranging from his wife, divorce, age, parents, and more. Born on 25 August 1981 to American parents, Justin Siegel grew up in Boca Raton, Florida. He studied in the University of Massachusetts from where he graduated with an MA degree in French Literature. Blessed with a notable height, he also attended Berklee College of Music. 2. Justin Siegel's Love-Life Surfaces After Divorce With Actress Wife! Justin can be considered as the master of hiding personal life as he never even hinted about his wife and was never spotted alongside her as lovers. The low-key profile lover Justin Siegel never really spoke about his personal life, especially about his wife. Everybody was unaware of Justin's marital relationship until the rumors of his divorce started to hit a home run. The news came late, but it was early enough to hold a lot of spotlights. His secretive relationship came into existence publicly only when their relationship had turned sour and had taken the process of divorce. According to wiki sources, Justin was previously married to actress and musician, Emmy Rossum in 2008 after holding a secret dating life for a year since 2007. Both of them seemed to have had enough of each other and eventually, the pair divorced in 2010. After the divorce, Emmy, moving on from the heartbreak, finally tied the knot with the screenwriter, Sam Esmail in 2017. On Justin's side- well his reticency never lets him open up more publicly. You May Like: Ashton Meem Wiki After Divorce With Quarterback Husband; Affair & Indulgence? 3. How Much Is Justin Siegel's Net Worth? Being the co-founder and CEO of three companies; Jnj Mobile Inc, Mocospace and JSmart Technologies, there's no doubt that Justin Siegel's net worth ranks in millions. But his net worth has not been disclosed yet. From his divorce settlements, Justin lost the bid of spousal support which eventually benefitted him as he wasn't charged with anything and instead Emmy had to pay him a paltry of $57,000. Well, the business-minded he seems to add more to his assets as he keeps expressing his interests to purchase various social networks. 4. Who is Justin Siegel's Girlfriend In 2018? Well, Justin has never failed to create limelights and surprises from his quiet life. But after a dating life with his first girlfriend, Kimberly Wyatt in 2006 and girlfriend-turned-wife, Emmy in 2007, Justin has never been spotted again with a girlfriend. Well, it has almost been eight years since his divorce with his wife, and the heartbreak seems to have stricken him as he seems more focused on his career rather than making girlfriends. Still, his lack of transparency keeps poking whether if there's someone behind the cameras. However, it looks as if we have to endure a lot of patience until Justin, age 37, unravels about his girlfriend all by himself.